At just 6 years old, Praxis is growing rapidly. 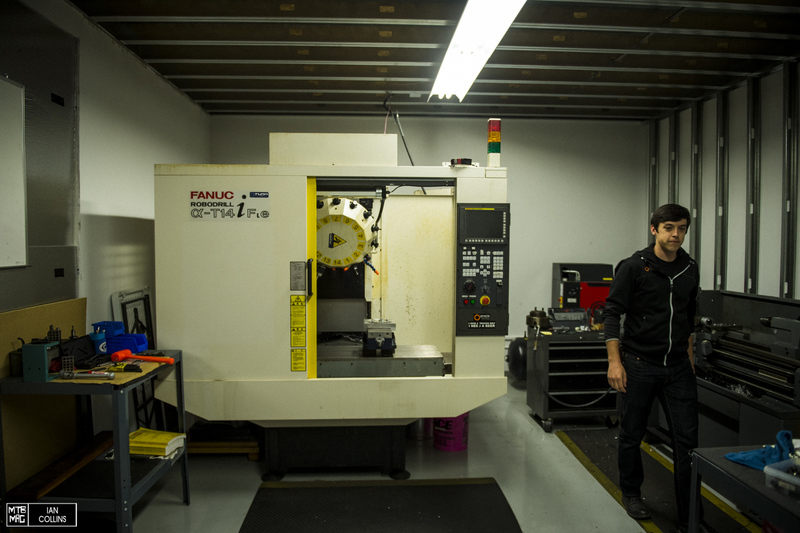 The brand initially took root when well known kinematics engineer David Earle decided to start a component firm focusing on drivetrain solutions. David earned his notoriety working with various brands from Bontrager to Specialized on a wide range of projects from drivetrains and components to frame kinematics like Yeti’s “Switch” suspension system. 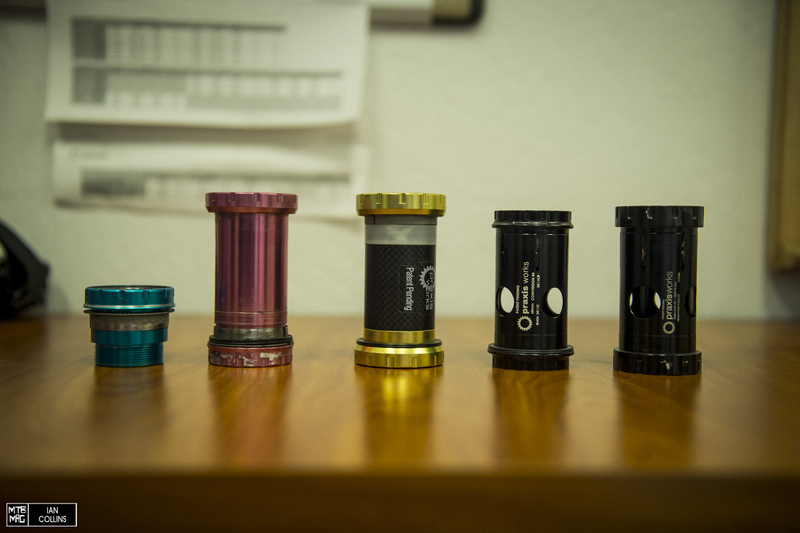 From left to right, an evolutionary timeline of Praxis’s game changing collet bottom bracket. Around 2011, Praxis started out with their unique cold forged shifting chainrings and collet style “conversion” bottom brackets. They have now expanded to offer a full line of cranksets for both road and mountain, a complete MTB wheel line, chainguides, wide range cassettes and many other offerings. 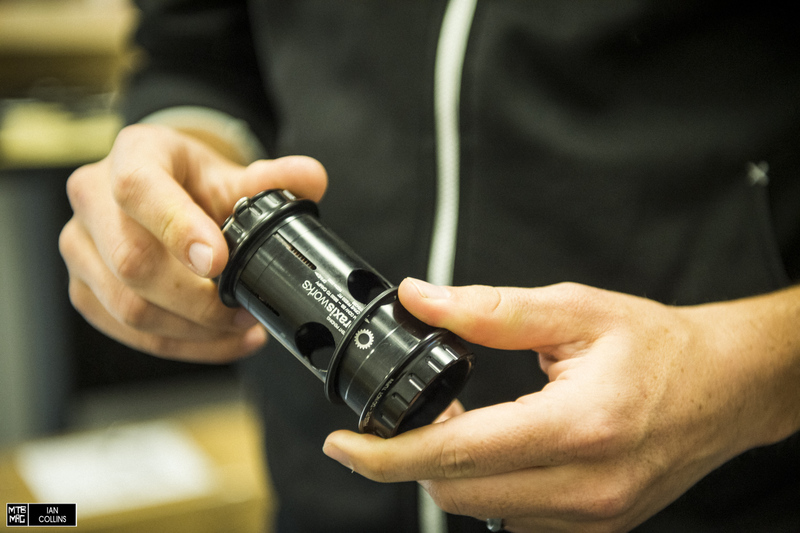 With a healthy, growing dealer base, surging OEM demand and 20 global distributors, they’re quickly becoming more widely known in both road and MTB. From left to right: Good, Better, Best. The forged Cadet, hollow forged Girder and the carbon fiber Lyft cranksets. Praxis is doing their best to cover the whole spectrum with all of their endeavors. When David Earle first began founding the company he had a solid relationship with a particular forging company in Taiwan that had an exclusive on a unique forging technique in the manufacturing world. Today, they are the parent company of Praxis. What’s special about their relationship is that Praxis is still a Western brand operating virtually autonomously. 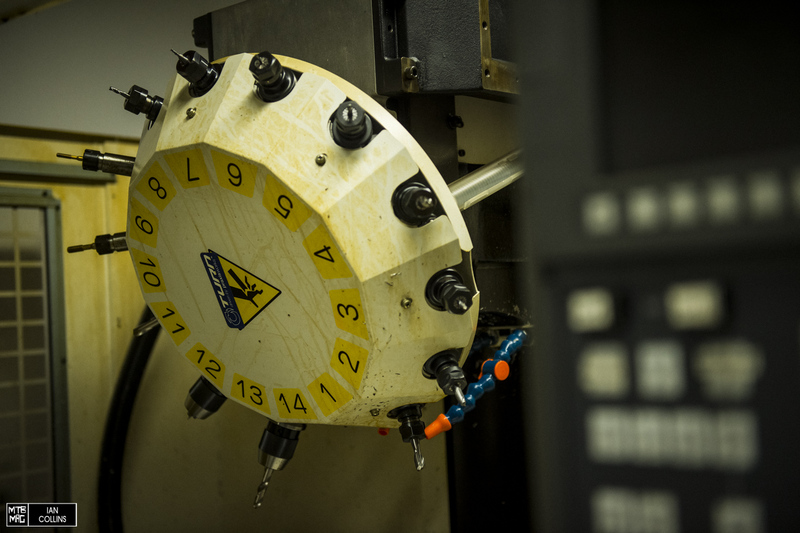 They have free reign to work out of Santa Cruz and execute a great deal of R&D efforts out of their stateside office. A large part of what affords Praxis this level of engineering mobility is the fact that they’re well equipped in Santa Cruz with a broad range of tools that allow concepts to quickly become working prototypes which can be tested on the amazing trails that are riding distance from the front door of their office. 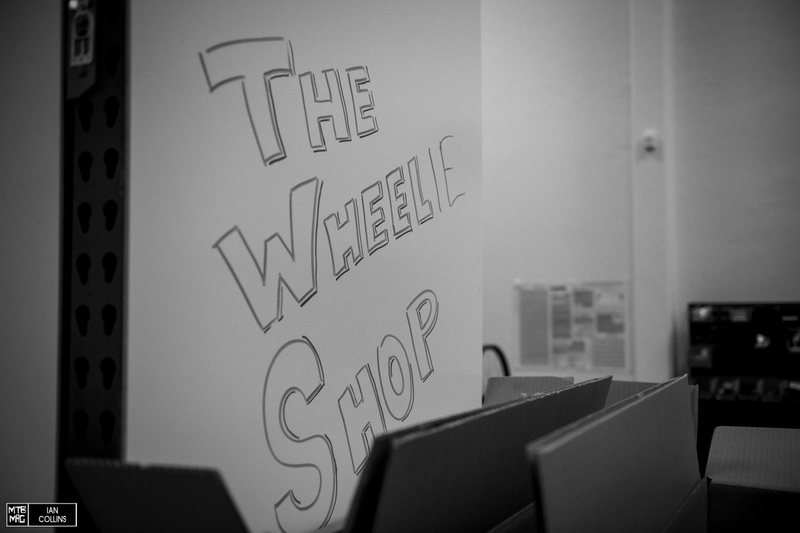 Director of Marketing and Sales, Adam Haverstock gave us a tour of their office starting with their wheel shop. Wheel building sage and Nor Cal legend in general, Jim Langley holds it down here. For nearly 30 years, Jim has been an avid tech editor for the likes of RoadBikeRider.com, Bicycling Magazine and Velo News. Jim laces the majority of the C32 wheels in house in addition to checking them for accuracy with the most insane German truing stand we’ve ever seen. He also keeps tabs on quality control and performs occasional warranty work. Left to right: Cross sections of the asymmetrical AL24 and C32 rims. 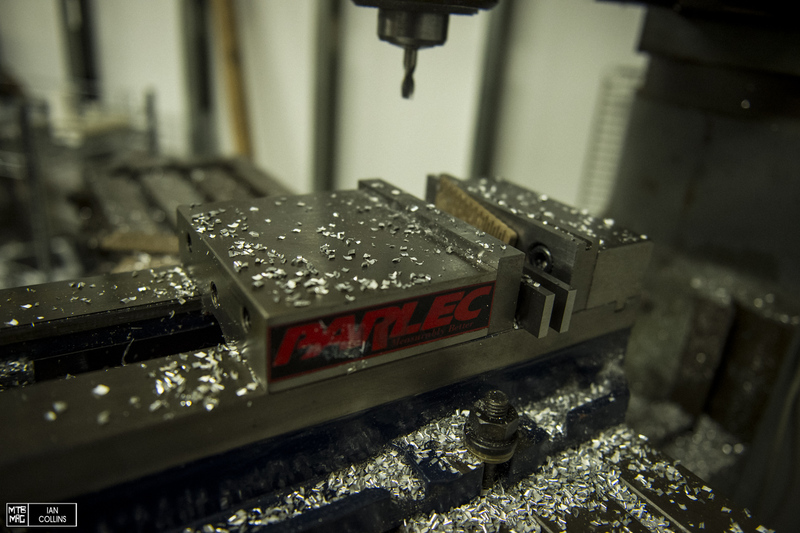 This is where Praxis can do a variety of things from conceptualizing to fine tuning throughout the prototype phase. For example, let’s say a new chainring offset standard comes out; they can punch out a riding prototype in house and get testing straight away. 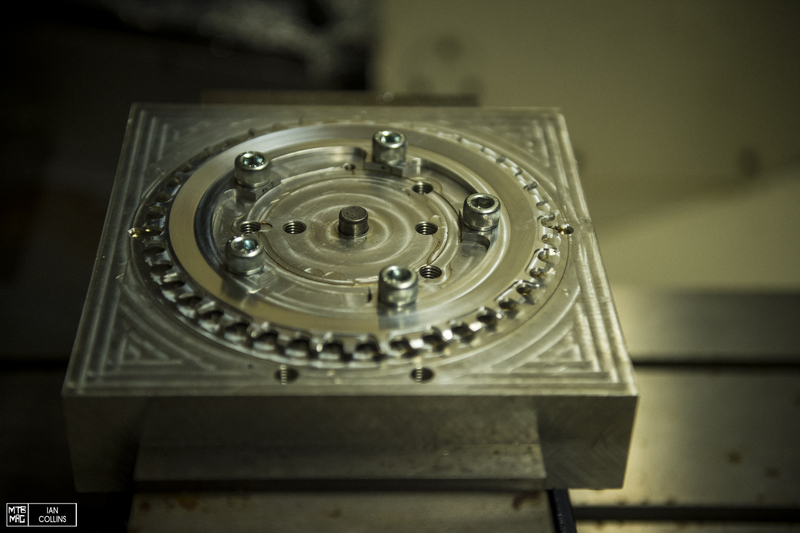 While they wouldn’t divulge too much information, the Praxis parent factory in Taiwan has an exclusive cold forging process which provides very consistent wall thickness in their hollow cranks all while eliminating as much material as possible to help get the weight down. 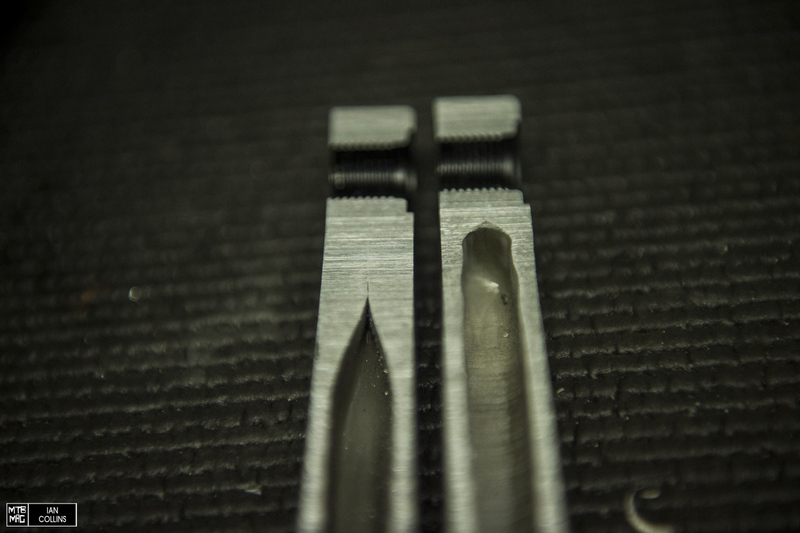 The two different cutaways reveal an early version (left) and updated version (right) of the hollow forging process on the Girder crankset. 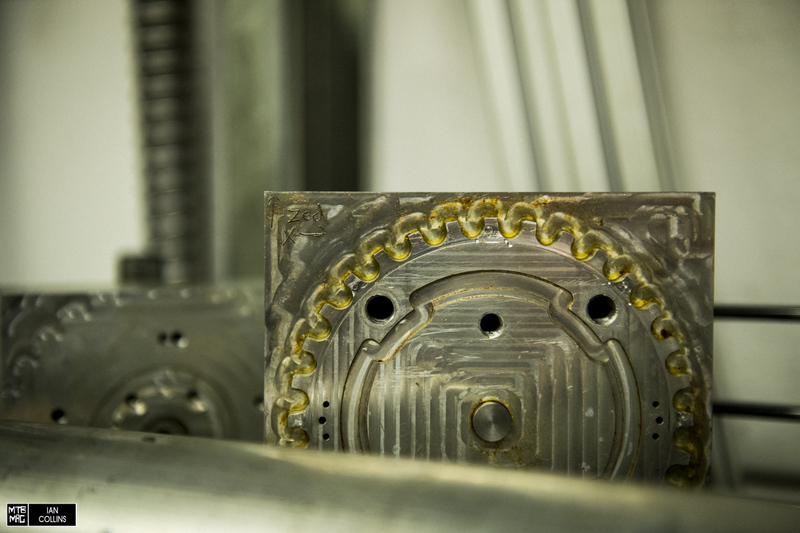 The crank on the right has less material for a lower weight with the same strength and stiffness. 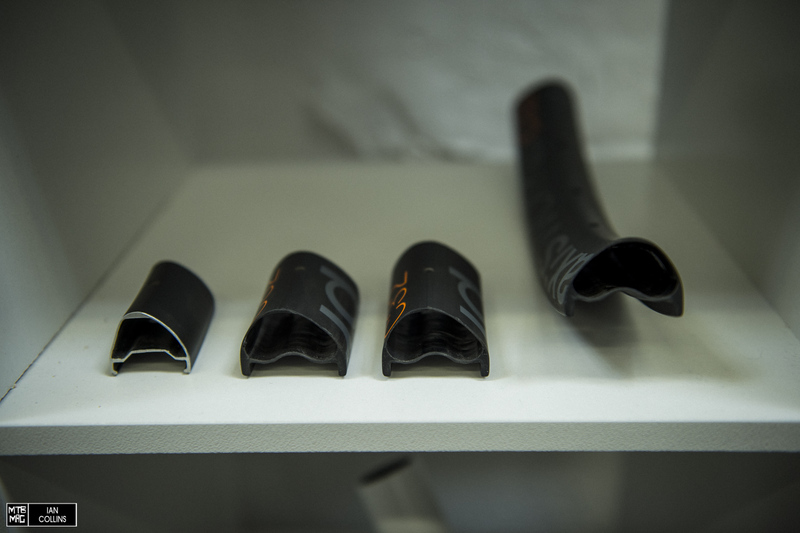 In their words, forged spindles like the unfinished one above are “a bit of a dark art…” and no one else in the bike industry is doing it. 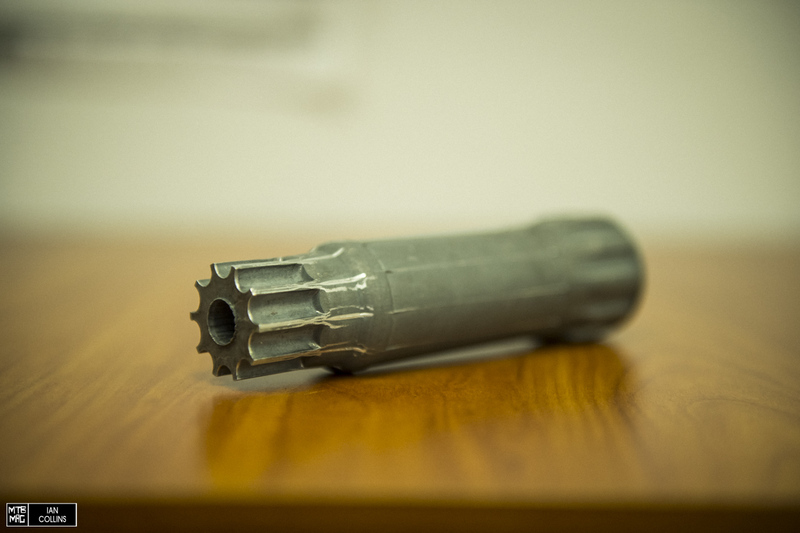 It’s difficult and very expensive but worth it due to the high strength and weight savings. 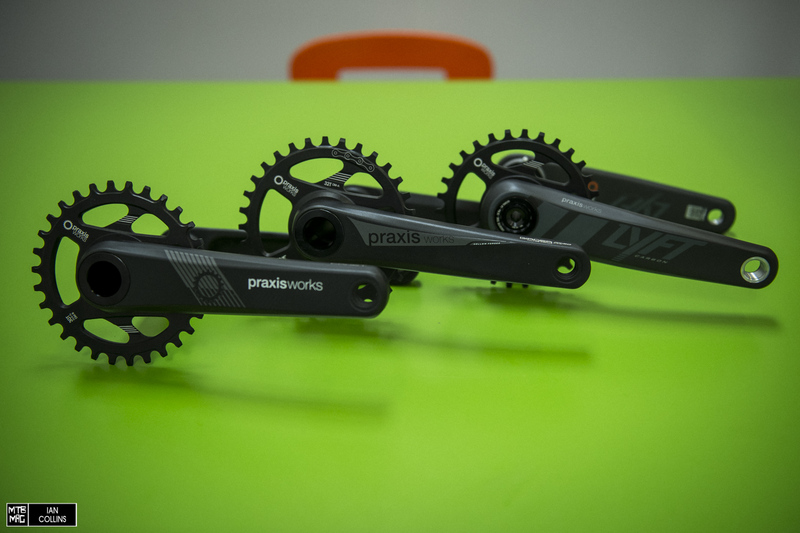 Praxis use “Wave Tech” for their chainrings. It’s not so much narrow/wide but more of an alternating pattern where every other tooth sits slightly inboard, then slightly outboard. This applies a constant, even tension to the chain and wears better, mainly because it leaves more room for mud clearance than a typical “narrow/wide” style pattern. “Wave Tech” chainrings are 10/11 & 12sp Eagle compatible, and were a mutual effort and collaboration with MRP that Praxis licenses from MRP. 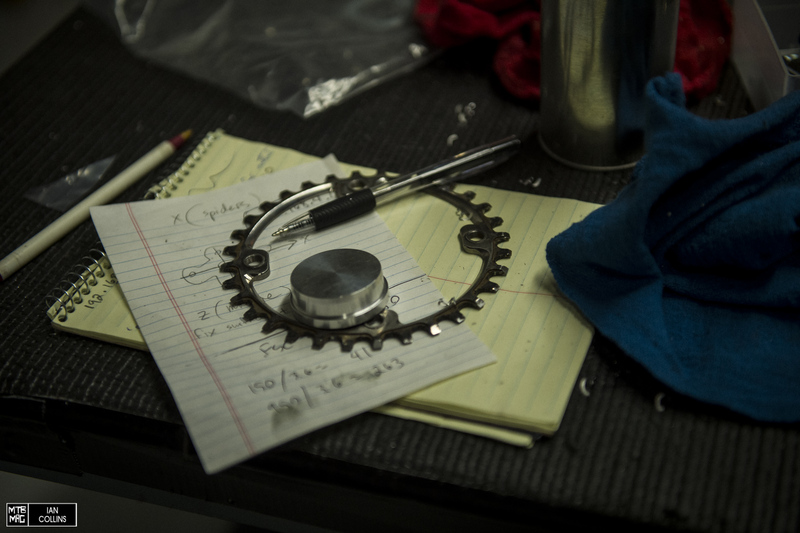 The chainrings are stamped and machined from 7075-T6 aluminum, then hard black anodized. One of the early endeavors at Praxis was shifting rings. 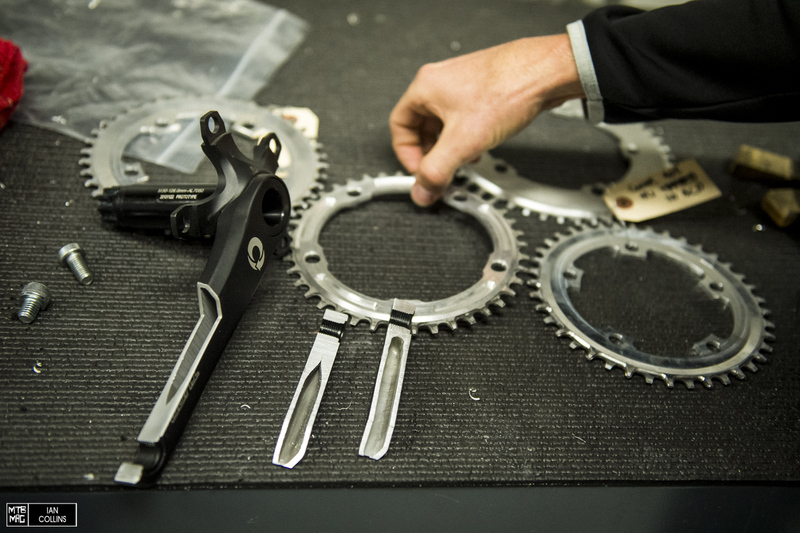 2X systems on Road Bikes aren’t going away any time soon and they are still putting great efforts into improving front chainrings, particularly with regard to shifting quality. 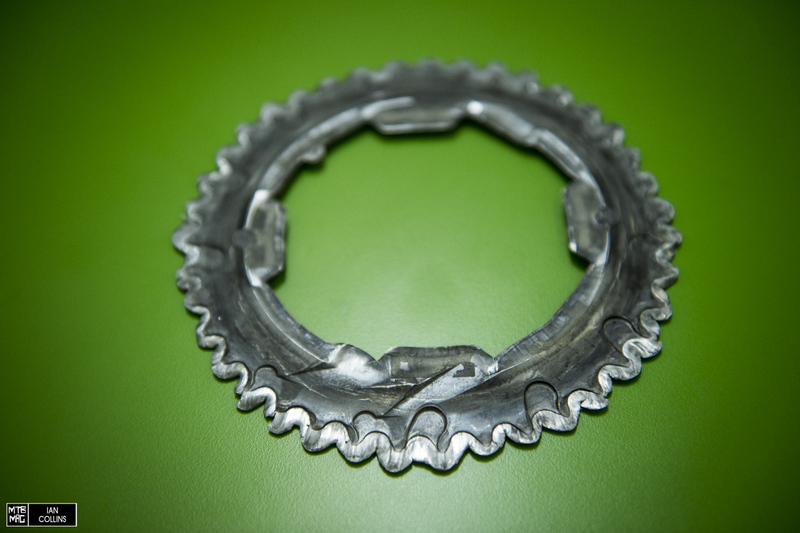 Above is a blank from a cold forged road chainring. 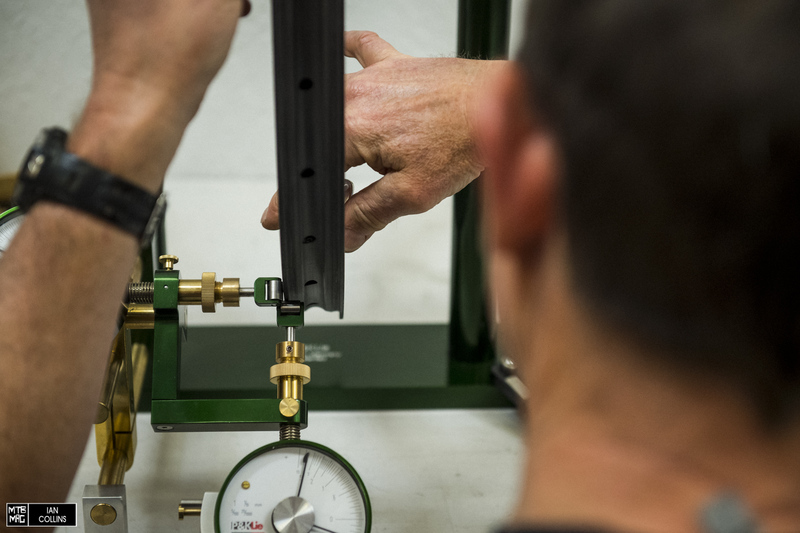 What gives the patented Praxis “Conversion BB” an edge over the competition is their collet style system. 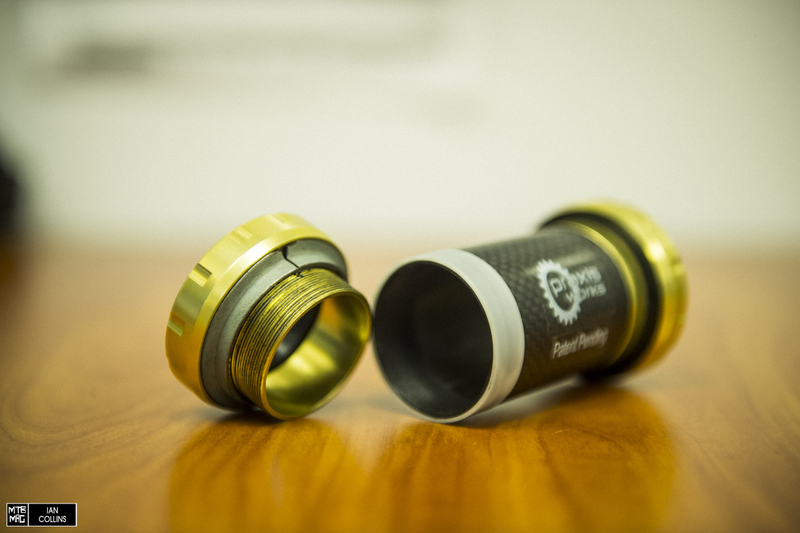 The main gripe with mountain bikers who have lamented press fit BBs in the past is that they’re noisy and a pain in to work with. While it might be easier to understand after watching it explained in better detail in this install video, a huge benefit to their system is that the NonDrive cup presses into the frame, then the Drive cup threads into it expanding to lock the BB in place. 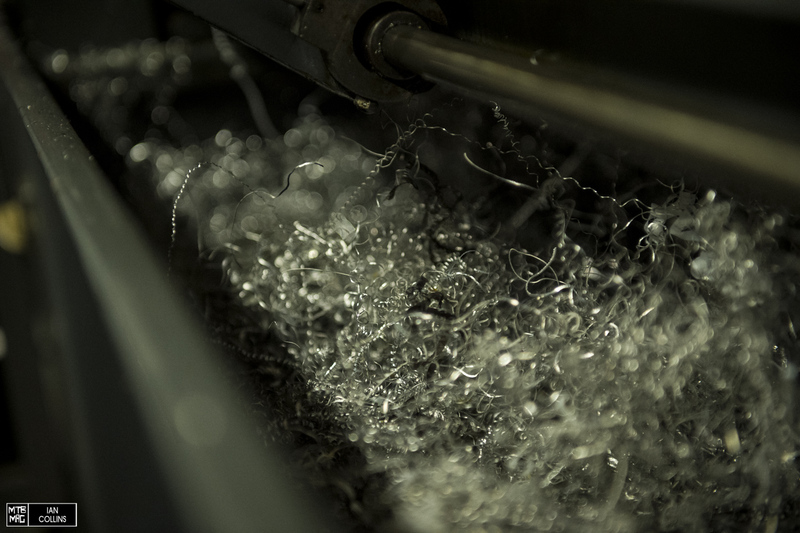 Then the two cups meet, thread together and expand to provide tension within the shell. Why is this ideal? Well, if two cups were constantly being rotated inside of the BB shell upon install & removal, then they’d slowly begin to mill away and remove material. Over time that leads to less of an interference fit, which results in noise, flex and other ugly things. 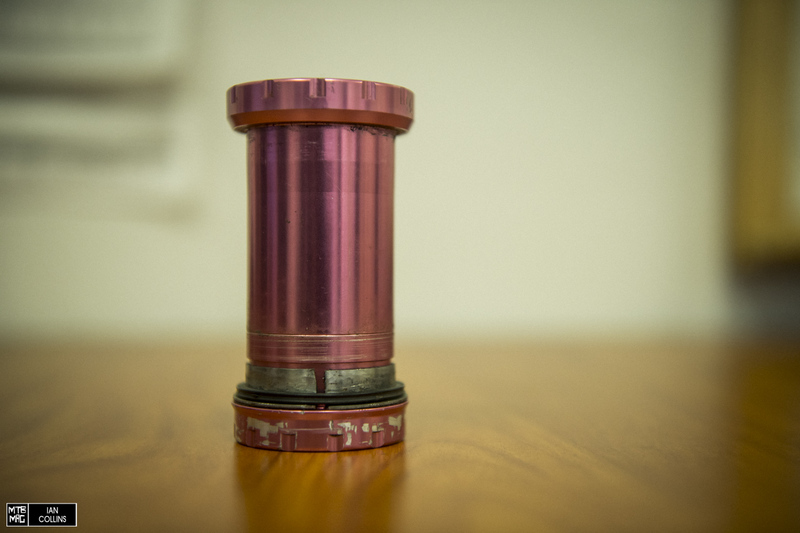 Pink anodizing…really? Maybe it was just the lighting…. Praxis is carving out a nice space in the MTB world. We think that what truly separates them from everyone else is that they can have their cake and eat it too. 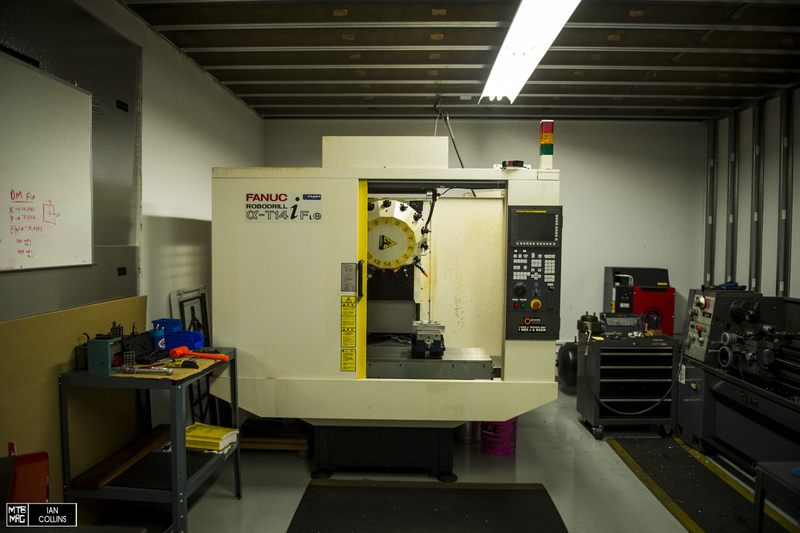 They have the manufacturing and engineering clout from one of the best factories in Taiwan, all while reaping the benefits of unbound creative freedom and full ownership of high end R&D resources right in their own office in beautiful Santa Cruz. Stay tuned for a full review on their Lyft Carbon crankset in a few months.